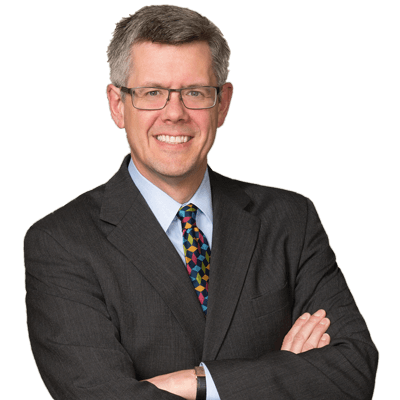 Lee Mickus defends manufacturers and other business interests in product liability and tort lawsuits around the country, guiding cases through the discovery, trial, and appeal stages. He has successfully tried cases to juries in Colorado, Texas, California, New York, Puerto Rico, Montana and several other states. Lee has handled cases involving a wide variety of industries and products, including automobiles, pharmaceuticals, financial planning, livestock and agricultural operations, medical devices, industrial machinery, wine and recreational equipment. Lee has made court appearances, argued appeals, and submitted amicus briefs in numerous jurisdictions across the country. Taylor Anderson blog - Several States Take Action To Exorcise "Phantom Damages"
Congratulations to Taylor | Anderson's 2018 Best Lawyers in America! Congratulations to Taylor | Anderson's 2017 Super Lawyers and Rising Stars! Testimony before Federal Rules of Civil Procedure Advisory Committee regarding proposed amendments to F.R.C.P. 37(e), Dallas hearings (February 2014). Testimony before Colorado House Environment Committee in opposition to House Bill 1310 (enhancing liability for oil & gas operators) (2016). Testimony before Colorado Senate Judiciary Committee in support of Senate Bill 27 (contingency fee reform), and opposing Senate Bill 25 (raising the cap on non-economic damages)(2005). Testimony before Colorado Senate Judiciary Committee in support of Senate Bill 120 (food consumption liability), House Bill 1150 (food consumption liability), and Senate Joint Resolution 56 (judicial nominations and retention)(2004). Testimony before Colorado House and Senate committees in support of Senate Bill 231 (products liability), House Bill 1186 (punitive damages procedure), and House Bill 1121(statutory offers of settlement) (2003). “The Amy Oliver Show,” talk radio appearances on 1310 KFKA addressing lawsuit abuses, tort reform, state and federal judicial actions, and other legal topics (2005 – 2011). “Your Turn with Renee Giachino,” talk radio appearance on 1330 WEBY addressing tort reform issues (April 2007). “Backbone Radio,” 710 KNUS talk radio appearances addressing tort reform and Colorado legislative action (Dec. 2004 & July 2004). “Independent Thinking,” KBDI-12 TV appearances addressing tort reform, judicial accountability, and judicial nominations (Oct. 19, 2006; Nov. 11, 2005; Dec. 10, 2004 & Dec.19, 2003). “Seat Belt Admissibility,” presented at the American Tort Reform Association’s Annual Conference for State Coalition Leaders (November 2017). “Amicus Briefing Programs,” presented at the American Tort Reform Association’s Annual Conference for State Coalition Leaders (November 2017). “Discarding the Seat Belt Gag Rule,” presented at Civil Justice Task Force Meeting, American Legislative Exchange Council Annual Meeting (July 2017). “Considering an Alternate Route: Seat Belt Gag Rule Revisited,” joint presentation with Robert Pitcher and Gregory Jones to American Trucking Association Litigation Center’s Forum for Motor Carrier Counsel (July 2016). “Colorado’s Car Insurance Collision Course: Steering Colorado Civil Justice Reform,” joint presentation with PCI and RMIIA to legislators and candidates (June 2016). “Lessons from the States: How Will the Practice of Discovery Change?” panelist, presented at the Lawyers for Civil Justice Membership Meeting (May 2016). “Tenth Circuit Report on Federal Rules Amendments,” presented to the Lawyers for Civil Justice Discovery Committee (May 2016). “Seat Belt Admissibility – Allowing Juries to Hear All the Evidence,” presented at the American Tort Reform Association’s Annual Conference for State Coalition Leaders (November 2015). “Punitive Damages Revisited” panel moderator, presented at the American Tort Reform Association’s Annual Conference for State Coalition Leaders (November 2015). “Phantom Damages: The Ghost of Concepts Past,” presented at the American Tort Reform Association’s Annual Conference for State Coalition Leaders (November 2014). “Be Careful What You Wish For: Practical Effects of Tort Reform Measures,” presented at the American Tort Reform Association’s Annual Conference for State Coalition Leaders (November 2013). “Crisis Management and Recall Planning: Complying with Governmental Oversight” panel moderator, DRI Product Liability Conference (April 2013). “Reforming Judgment Interest and Appeal Bonds,” presented at Civil Justice Workshop, American Legislative Exchange Council States & Nation Policy Summit (November 2012). “Pre- and Post-Judgment Interest Reform,” presented at the American Tort Reform Association’s Annual Conference for State Coalition Leaders (November 2012). “Restoring Common Sense in Colorado: Phantom Damages,” presented at CCJL/CACI Legal Reform Conference (September 2012). “How Far Must a Manufacturer Reasonably Go to Foresee Product Misuse?” presented at DRI Product Liability Conference (April 2012). “Civil Justice Reform: Perspectives from Practitioners,” panel discussion presented during American Tort Reform Association’s Annual Conference for State Coalition Leaders (November 2011). “Phantom Damages,” Colorado Civil Justice League Open Forum (June 2011). “How Jurors Think and Decide: Using the Story Model,” Colorado Bar Association’s Litigation Series CLE program (April 2011). “Perspectives on Litigation in a Challenging Economic Climate,” panel moderator, IADC Denver Regional Meeting program (2009).